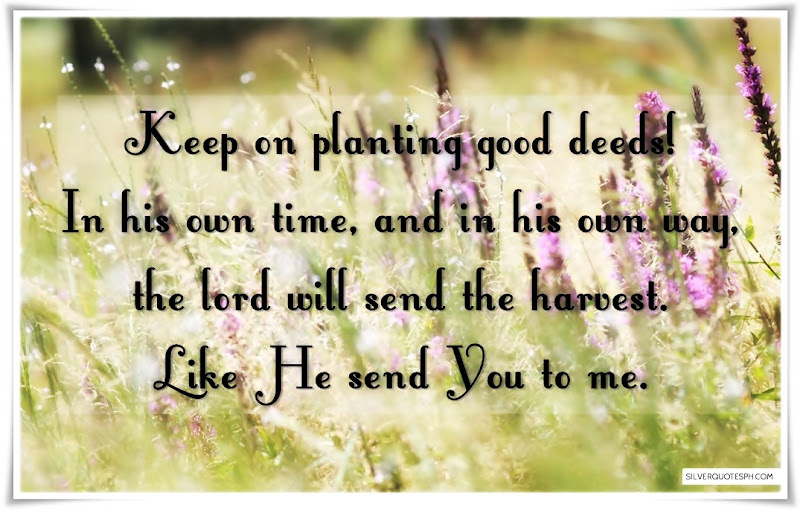 Keep on planting good deeds! In his own time, and in his own way, the lord will send the harvest. Like He send You to me.